Since starting my research into the use of Daimler during WW2 I have come across many interesting, educational and sometimes genuinely moving photographs and film clips. Below I have attached a number of the best film clips that are all loosely connected to the tide of liberation and jubilation that swept across northern Europe in late 1944, but more specifically the Netherlands. 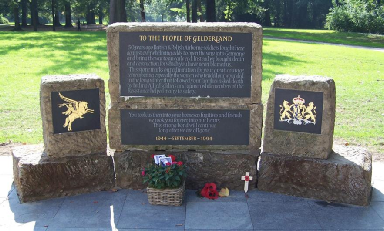 taken from a plaque at the Oosterbeek Museum. 50 years ago British and Polish Airborne soldiers fought here against overwhelming odds to open the way into Germany and bring the war to an early end. Instead we brought death and destruction for which you have never blamed us. This stone marks our admiration for your great courage remembering especially the women who tended our wounded. Resistance helped many to safety. after we are all gone.